Both skeletons were found in a cemetery just south of the ancient city of Akhetaten, whose name means “Horizon of the Aten.” Now called Amarna, the city of Akhetaten was a short-lived Egyptian capital built by Akhenaten a pharaoh who tried to focus Egypt’s religion around the worship of the sun disc, the “Aten.” He was also likely the father of Tutankhamun. After Akhenaten’s death, this attempt to change Egyptian religion unraveled, as his successors denounced him and the city became abandoned. 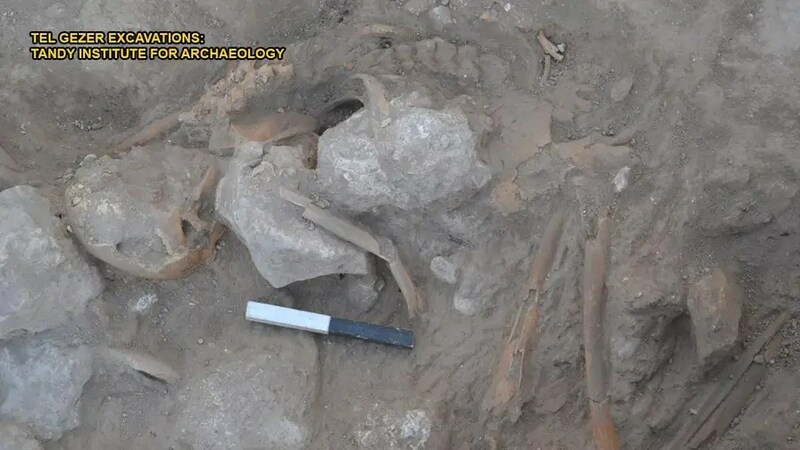 Even so, Anna Stevens, the assistant director of the Amarna Project, said the newly discovered rings are unlikely to be related to the religious changes Akhenaten introduced. The findings do appear to be the first copper alloy toe rings discovered in ancient Egypt. “I’m not aware of any, but that doesn’t mean they don’t exist. Bear in mind that if we found something like this in a house, for example, we would have no idea of its purpose,”Stevens wrote in an email toLiveScience. 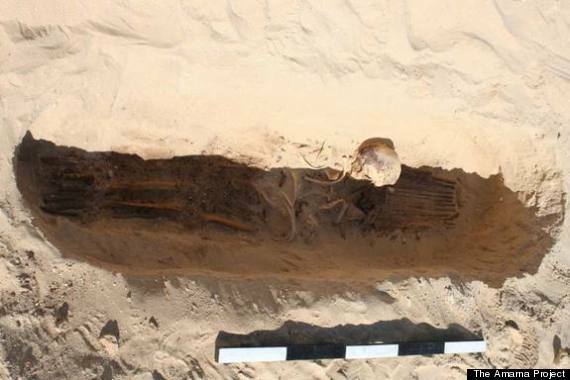 The male ancient Egyptian skeleton lived more than 3,300 years ago and died at the age of 35-40, before being buried with a ring on his right toe. Figuring out who these individuals were in life is tricky, Stevens said. This cemetery appears to represent a “wide slice” of the city’s society. 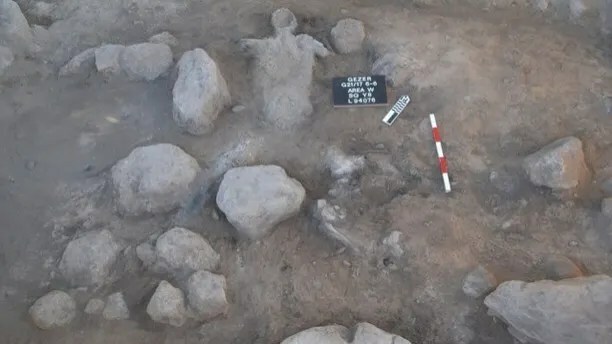 These people were not wealthy enough to get buried in a rock-cut tomb but could afford, and were allowed, the simple burials seen at this cemetery. 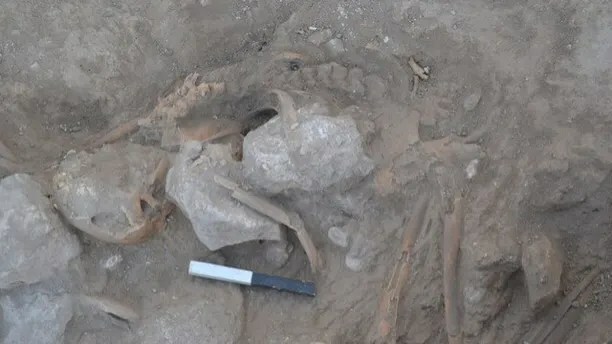 “They [the two individuals] probably lived, like most citizens of Amarna, in a small house adjacent to that of a larger villa belonging to one of the city’s officials, for whom they provided services and labor in exchange for basic provisions, especially grain,” Stevens said. In the case of the male with multiple fractures, his life appears to have been especially difficult and he also has signs of degenerative joint disease. It “suggests a life [of] labor was more likely for this individual than, say, an existence as a scribe,” Stevens said. In both cases, however, the individuals’ lives ended with each having a copper alloy ring on one of their toes. The case of the male individual with the toe ring was published in the most recent edition of the Journal of Egyptian Archaeology. More information on the Amarna Project can be found at http://www.amarnaproject.com.